Including fibre-containing foods in your diet is good for your health as it can add to your portion size and make you feel fuller without adding lots of calories. Normally, your body does not digest fiber. 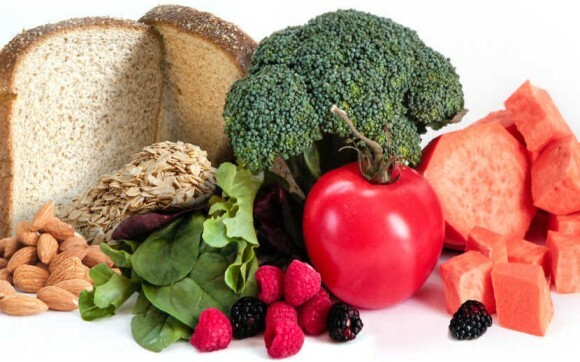 But fibre assist your body to digest other foods like sugars and carbohydrates more slowly. Apart from fibre foods being suitable for weight loss, they also aid in keeping your body regular, stabilizing blood sugar levels and lowering your cholesterol levels. 1. What is Soluble Fibre? Soluble fibre are fibres that are soluble in water, as it forms a gel-like substance when mixed with water. They are good for stabilizing blood sugar levels. It makes your blood sugar level to maintain a balance, so that you will not crave for something sweet or high in carbohydrate. By doing this, it aids weight loss by reducing your calorie count and also avoid the risk of other complications like diabetes. 2. What is Insoluble Fibre? Just as the name goes, insoluble fibres are fibres that are not soluble in water or any liquid. They are perfect for digestion as they ensures that everything runs smoothly inside your bowels. Insoluble fibres are found in foods like vegetables, whole meats and nuts. The perfect track to weight loss is eating foods that are rich in fibre, and as well as keeping your calorie intake on check. When you eat foods rich in fibre you feel fuller for a longer period, which means that it aids you in reducing your calorie count as you do not have to eat as much again throughout that day. The following are some high fibre-containing foods you can easily include in your diet. In your quest for weight loss, you should be including these foods rich in fibre in your daily diet. You can easily make your comments and contributions by using the comment box and also feel free to share this post by using the social share buttons below.